Maruti Suzuki, the country’s top carmaker, reported a lower-than-expected profit for the third quarter ended December 31, 2018. The profit slipped over 17 per cent to Rs 1,489 crore impacted by a combination of factors such as adverse commodity prices, forex movement and high discounts on cars. The double-digit decline in profit pulled down the company’s stock by over 7 per cent on Friday and eroded the company’s market cap by Rs 15,740 crore. The stock price of the country’s most-valuable automobile firm hit a 21-month low of Rs 6,420 at the BSE in intraday trade but recovered marginally to close at Rs 6,516. 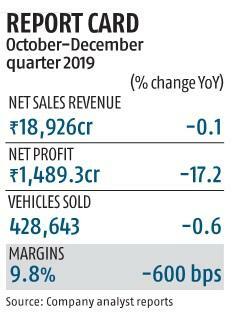 The company, which sells every second car in the domestic market, saw its net sales revenue decline marginally (0.1 per cent) to Rs 18,926.40 crore during the quarter. Vehicle sales during the quarter declined 0.6 per cent to 428,643 units. The company offered a record average discount of Rs 24,300 for the third quarter against just Rs 19,200 average for the nine-month period. Maruti Suzuki will stop paying royalty to Suzuki in yen and completely switch to rupee payments from 2022. Currently, it pays a rupee-based royalty on six models — Brezza, Ignis, WagonR, Swift, Dzire, and Ertiga. Analysts were anticipating a single-digit decline in the company’s quarterly profit. “The results of this quarter have to be viewed in the context of particularly weak market conditions. While SIAM had forecasted a passenger vehicle domestic market growth of 8 to 10 per cent for the current year, industry could grow by 4.4 per cent in the first three quarters of the year. The company has grown at 7.2 per cent in the April-December period,” Maruti Suzuki said in a statement. 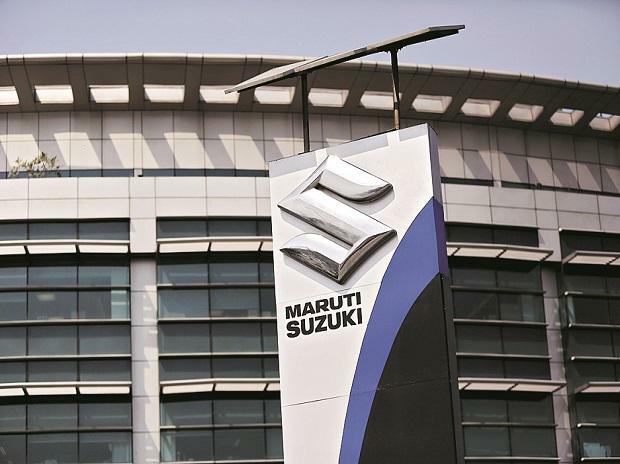 Bharat Gianani, automobile research analyst at Sharekhan by BNP Paribas, said Maruti Suzuki has significantly missed the street expectations as margins dropped significantly 600 bps YoY to 9.8 per cent and were significantly below estimates of 13.5 per cent. “Maruti’s margins were at a multi-year low. Operating deleverage due to subdued volumes, increase in commodity prices, higher discounting, and adverse forex movement led to a steep drop in the margins. Maruti’s volumes and margins are likely to remain under pressure in near term as consumer sentiment continues to remain weak. Given the pressure on the earnings, premium multiples would not be sustainable,” he said. The company is set to close FY19 with a single-digit growth after four consecutive years of a double-digit sales expansion. The company told analysts that commodity prices have started softening from the current quarter and it is in discussion with vendors to find out the impact of the lower prices for the current quarter. It said the company has a healthy pipeline of bookings. Maruti Suzuki has received bookings of more than 14,000 units for the newly launched Wagon R in the last 10 days. It has a booking of 55,000 units for the new Ertiga resulting in a waiting of 28 weeks on the model.